Easy Color Stain is a penetrating wood stain for all interior wood surfaces. 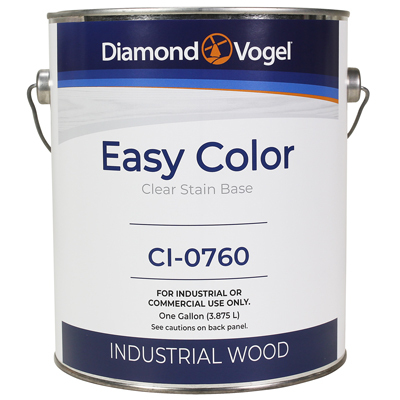 Easy Color Stain is a direct-to-wood solvent-based stain formulated for shop application in a manufacturing operation. Easy Color Stain is ready to use and applied by brush, wipe, or spray. Stain is fast dry yet has adequate open-time to apply and wipe. An unlimited number of colors are possible using the Easy Color Stain when tinting with approved 844 Colorant.